3. Select Import Contacts on the drop down list. 4. Click Upload File to import your contacts. You can download the sample file on the page and follow the format. 5. 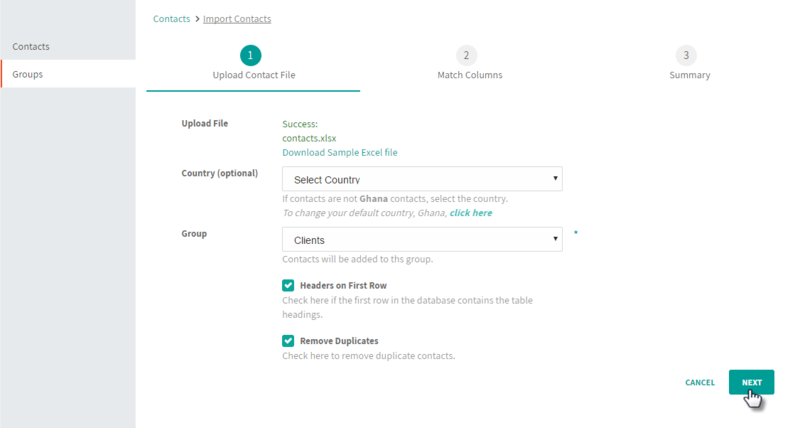 Select your country and the contact group to which you want contacts to be added. 7. Match Columns from your worksheet to Contact information by choosing the appropriate column from the drop down list in each textbox. 9. Click Save to Complete.